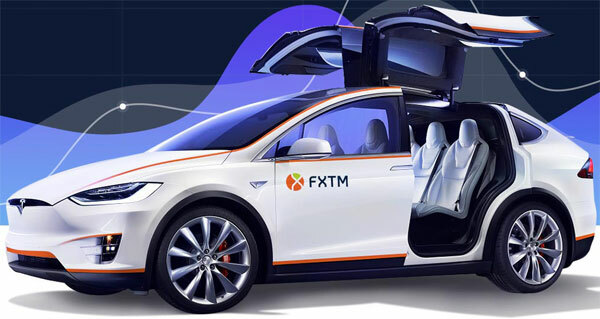 Welcome to FXTM contest offer Wheel of Fortune Raffle Contest Win a Tesla Model X or an iPhone X. Just meet the minimum deposit of $500 USD and execute 5 standard lot trades to get a participation ticket in the draw. FXTM traders will receive two raffle tickets – a Monthly Raffle ticket and a Grand Finale Raffle ticket – every time they make a $500 deposit between July and September. The contestant participates in Rounds 1st-3rd, will automatically include in the Grand Finale. Each Monthly Ticket puts traders in the running to win a brand-new iPhone X. Grand Finale Tickets offer traders the chance to win a host of unbeatable prizes. Simply register with FXTM, Once you’ve accepted the T&Cs, make a $500 deposit during the contest periods outlined below to be instantly entered into the Monthly and Grand Finale raffle draws.